Do you live in Japan? Yes?! 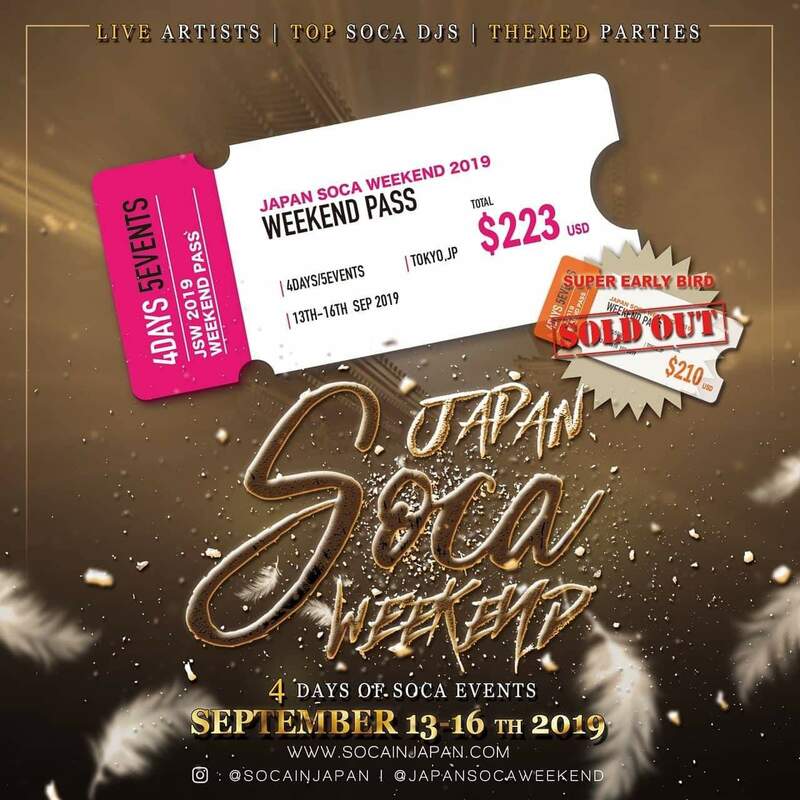 Then purchase the Japan Soca Weekend 2019 Pass for only $223 USD. Dust up the place and jam hard in one of the world’s most vibrant cities! 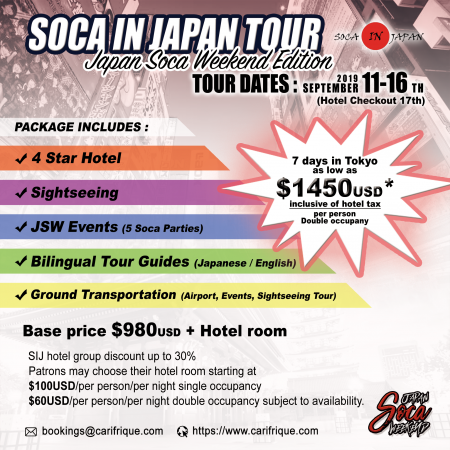 Soca in Japan presents Japan Soca Weekend 2019 #JSW2019 with Carifrique as an honoured sponsor and promoter. Raise up yuh flag for a rag storm to take over Tokyo! 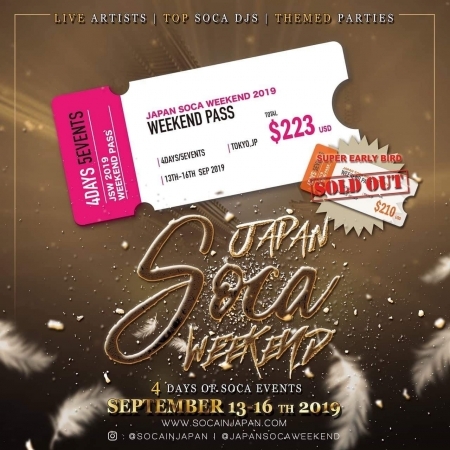 If you live in Japan take advantage of the Japan Soca Weekend 2019 weekend pass for only $223 USD. 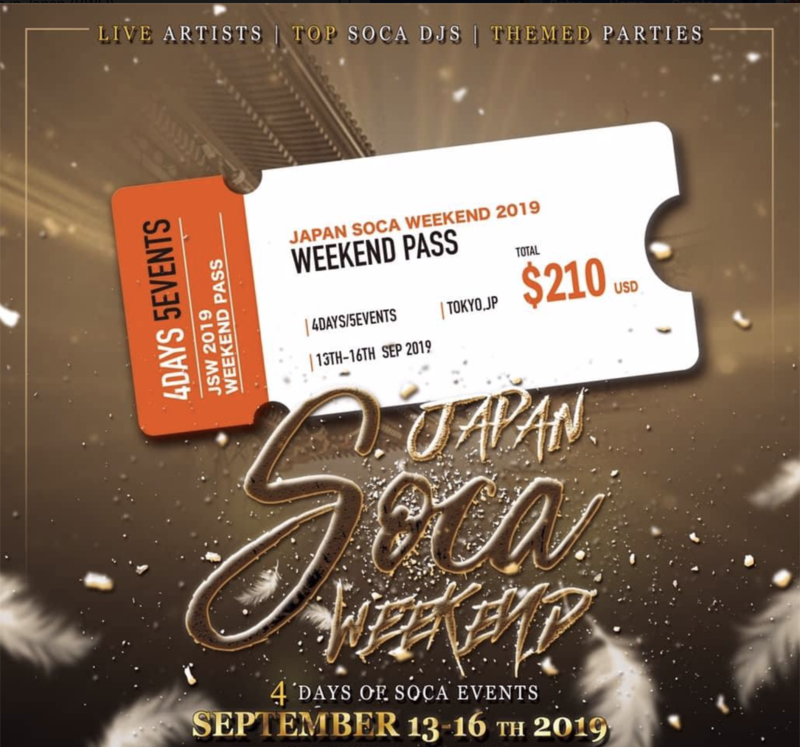 The pass includes access to ALL Japan Soca Weekend 2019 events (transportation not included). Events will be in the Tokyo Metropolitan area. Keep up to date on Carifrique’s Instagram, Facebook and Twitter for more details. ONCE YOUR PAYMENT HAS BEEN CLEARED, A T-SHIRT RESERVATION FORM WILL BE EMAILED TO YOU. THE FORM MUST BE COMPLETED IN ORDER TO GET YOUR THE JSW2019 WEEKEND PASS AND T-SHIRT.